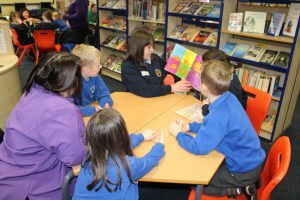 To celebrate this years National Storytelling Week (January 26th – 2nd February) some of our Y7 students invited Class 2RU from Ledbury Primary School to read with them last Friday in the JMHS Library. 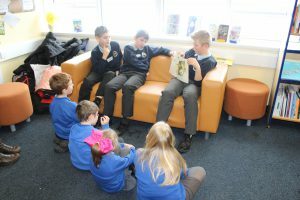 The Y7 students have been carefully selecting their story books and practising very hard in the Library over the last few weeks and read beautifully to the visiting Y2 Children. 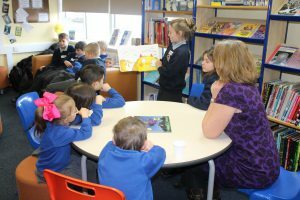 We are very proud of how wonderfully the students entertained the Y2’s today, they were amazing. All the visiting students really enjoyed themselves and we hope we can repeat the visit soon.